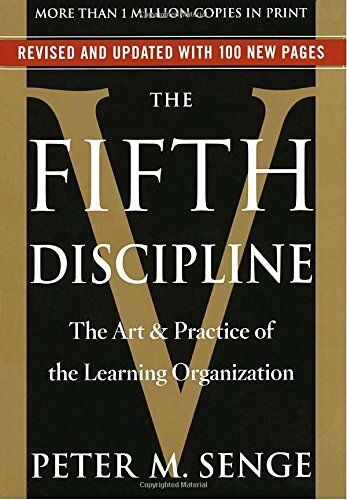 We discussed the 11 Laws of Systems Thinking as laid out in the book: The Fifth Discipline: The Art & Practice of The Learning Organization, Peter M. Senge, 1990. Our organizations work the way they do because of how we think and how we interact. We don’t have mental models: we are our mental models. W. Edwards Deming said: “No theory, no learning.” If we can’t express our assumptions in ways others can build upon, there can be no testing and building of public knowledge. Russell L. Ackoff, 1919 – 2009, former Anheuser-Busch Professor Emeritus of Management Science at The Wharton School, University of Pennsylvania, was also a seminal thinker in the field of Systems and Design Thinking, and his seminal work is: Creating the Corporate Future, 1981. Ackoff preferred the term: Theory of purposeful systems, the idea being you have to understand the whole in order to understand the parts. It’s a discipline for seeing wholes. A system is a whole that cannot be divided into independent parts. Its properties and behavior derive from the interactions of its parts, not their actions considered separately. A disassembled auto cannot carry people. 1. Today’s problems come from yesterday’s solutions. There are no solutions, only tradeoffs. A company might be using dozens of disparate spreadsheets which cause poor decisions to be made. Clearly, that is a problem, but at one point each of those spreadsheets was itself, a solution to a problem. 2. The harder you push, the harder the system pushes back. Otherwise known as compensating feedback, this is best illustrated by the story of Boxer the horse in George Orwell's Animal Farm. 3. Behavior grows better before it grows worse. Treating the symptom, not the cure? The "old" system always appears to have been better in retrospect and people will question the change, even if they had complained about the old system previously. 4. The easy way out usually leads back in. If you have a hammer, everything is a nail. Comfort zone challenge; Satisficing. Senge shares the old yarn of the drunk who is looking for his apartment keys under a streetlamp. When another patron offers assistance the drunk admits the keys were lost in bar, but the the light is better out under the streetlamp. 5. The cure can be worse than the disease. Iatrogenic illness (the doctor causes the disease); first, do no harm. The cure becomes addictive. Sadly many professionals outside medicine are guilty of cause iatrogenic harm as well. 6. Faster is slower. The story of the tortoise and the hare. A fast fix can equal a slow cure. Every system has an optimal speed. 7. Cause and effect are not closely related in time and space. Pushing the elevator button; adjusting the cold water in shower; and, of course ROI! 8. Small changes can produce big results—but the areas of highest leverage are often the least obvious. The real leverage is in understanding dynamic complexity, not detail complexity. The 4Ps of marketing are a dynamic problem. To control insects in greenhouses, wasps were introduced—brilliant, effective, counterintuitive. 9. You can have your cake and eat it too—but not at once. Tradeoffs are key. You cannot increase the quality of a product AND simultaneously decrease the cost. Over time, higher quality CAN lead to decreasing costs. Either/or vs. both/and thinking. 10. Dividing an elephant in half does not produce two small elephants. No, it is does not. It produces and ugly, bloody mess. Getting nine women pregnant doesn’t produce a baby in one month. 11. There is no blame. Deming looked to the system, not people for the "blame."